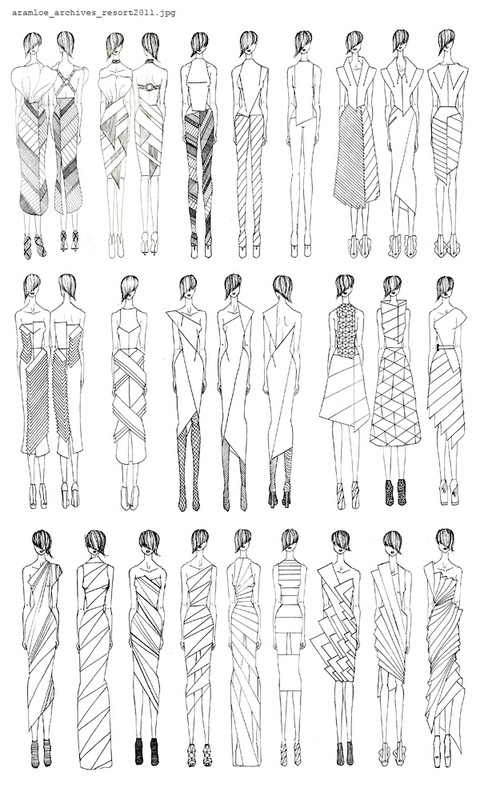 Just some sketches I made a year ago for my collection for Resort 2011. Shown here - 24 out of the 72 looks in the collection. I hope I'm able to share some good ideas here and perhaps set a good example to my students.